Touch boosts the health of premature babies. For those doing the cuddling, the personal rewards are also boundless. Touch is one of the most powerful forms of human communication. For newborns, especially, touch is their first and most essential language. Babies understand love, comfort and safety through the act of being tenderly held and snuggled. But cradling a baby gives them more than just a sense of security. It’s precious medicine for premature babies, who often come into the world with weak immune systems and undeveloped lungs. 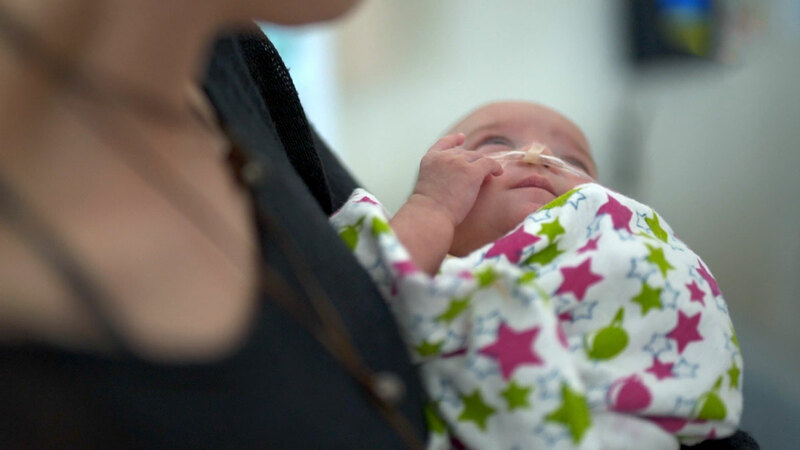 When preemies are held and touched, their vital signs often improve, and researchers have found that it also boosts neurodevelopmental outcomes and stimulates growth. The therapeutic value of being touched is so pronounced that every one of UC’s five medical centers incorporate it into the care their Neonatal Intensive Care Units (NICUs) provide for their tiny charges. When babies are strong enough to allow it, parents are encouraged to hold, caress and snuggle their babies. Hospitals even employ “volunteer cuddlers” — people from all walks of life who donate their time each month to rocking and holding fragile infants, under the watchful supervision of nursing staff. Cuddling babies is one of the most popular volunteer services across UC’s medical centers. At UC San Diego Health, for example, there is an 18-24 month-long wait list. The fact that people are so drawn to tending these tiny infants speaks volumes about how babies aren’t the only ones who benefit from the calming, nurturing act of cuddling. “It took me a year and a half to get the call. It was worth every minute of the wait,” said Shea McNanie, who was herself once a preemie baby in the NICU at UC San Diego Health. She now volunteers as a cuddler once a week for two and a half hours. Shea was born at just 25 weeks gestation, and weighed less than two pounds. She was kept alive, in critical condition, by machines, medications and a dedicated staff who gave her round-the-clock care for three and a half months. 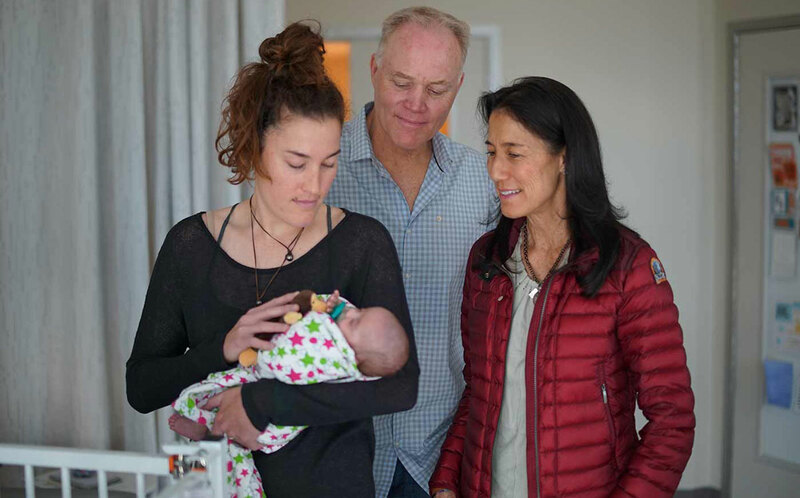 Shea's parents Sean and Mihi McNanie look on as she participates in the volunteer cuddler program at UC San Diego Health. Today, Shea exemplifies the big strides that have been made in boosting the survival and health outcomes of preemies. A college graduate, she is also a fierce competitor on her mountain bike, competes in triathlons, is an avid backpacker and continues to live life to the fullest. Of all those accomplishments, her most rewarding has been the time she spends volunteering to hold other “miracles” in the NICU at UC San Diego Health. “I describe it to people as the best thing I have ever done,” she said. Watch Shea's full story here.